Storm clouds swirl about Mt. 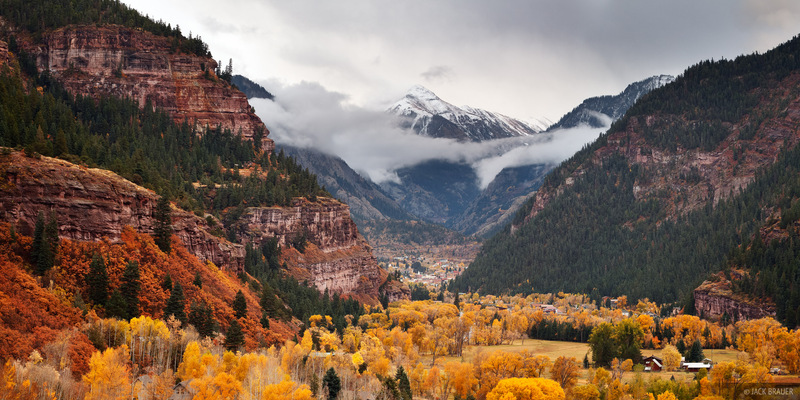 Abrams, over the town of Ouray and the Uncompahgre Gorge. Photo © copyright by Jack Brauer.